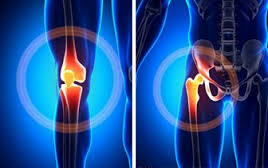 Are you suffering from severe pain receiving a knee or hip replacement? Have you received a recall letter? We are reviewing cases where individuals have had a hip or knee replacement and are (a) have received a recall letter, (b) are having issues, or (c) who having a second revision or replacement surgery because the first replacement did not work well. If you or a loved one has been implanted with an artificial knee or hip replacement and are experiencing pain, we may be able to help you get the compensation for a faulty or defective hip or knee replacement.